How one woman's cells changed scientific thinking forever. 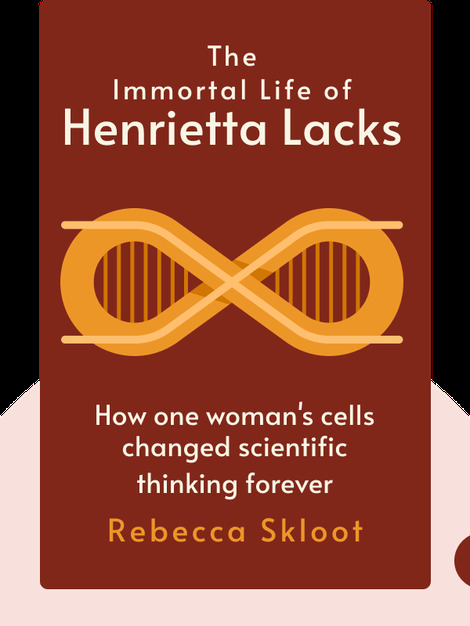 The Immortal Life of Henrietta Lacks tells the story of a poor tobacco farmer who died from cervical cancer, and her cell strand, HeLa, which scientists used to develop a cure for polio and other diseases. 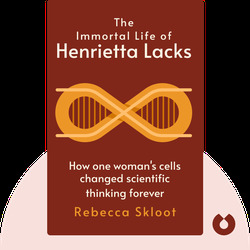 In a fascinating and revealing investigation, author Rebecca Skloot uncovers the history of Henrietta and her family, of the exploitation of black Americans by the medical industry, and of Henrietta’s immortal cells. Rebecca Skloot is an award-winning science writer whose articles have appeared in the New York Times Magazine, Discover and others. She has also worked as a correspondent for NPR and PBS. In 2010, Skloot sold the film rights for The Immortal Life of Henrietta Lacks to Alan Ball and Oprah Winfrey.